serves a vital function within any organization -securing access to corporate networks, protecting the identities of users, and ensuring that a user is who he claims to be. - Can I address new demands of my business — like cloud and mobile devices? - How do I map access control methods to business risk and the needs of my users? - Can I centrally manage, control and administer all my users and endpoints? - Who controls my user data? 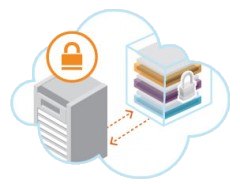 - How can I incorporate additional security layers to help me further fortify against threats? - And how do I keep it all practical and cost-effective? Strong authentication refers to systems that require multiple factors for authentication and use advanced technology, such as secret keys and encryption, to verify a user’s identity. The simplest example of is a consumer accessing funds via his or her ATM card. This requires something the user has (their card), and something they know (their PIN). Most people wouldn't want their bank to allow access to their checking account with just one factor. Yet many organizations allow entrance to their valuable VPN, Citrix, and Outlook Web Access resources (often much more valuable than a single personal checking account) with only one factor—often a weak password. 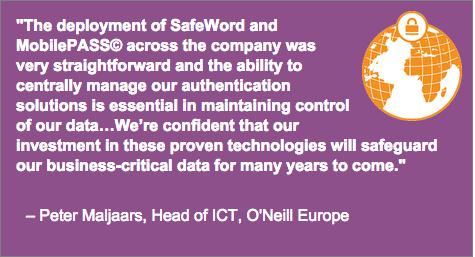 Strong authentication enables organizations to strengthen the protection of these vital resources. While the decision to use multiple factors for verifying users' identities is clear cut, deciding on an approach is anything but. Today, there are hundreds of options, each presenting its own specific advantages and tradeoffs. -> Do I want to protect my internal network from unauthorized access? If so, consider two-factor authentication (2FA) solutions that enable flexible and comprehensive secure network access, both in the office and remotely if needed. -> Do my users need to connect from remote locations? If so, consider portable solutions that enable secure VPN and web access for remote users, and that enable employees to secure their laptops and data while on the road. -> Do my users need to access many password-protected applications? If so, consider solutions that provide single sign-on functionality, either by storing user credentials on the token or by integrating with external single sign-on systems. -> I want my users to digitally sign and encrypt sensitive data or transactions? If so, consider smart card-based solutions that provide secure onboard PKI key generation and cryptographic operations, as well as mobility for users. -> How sensitive is my business data? 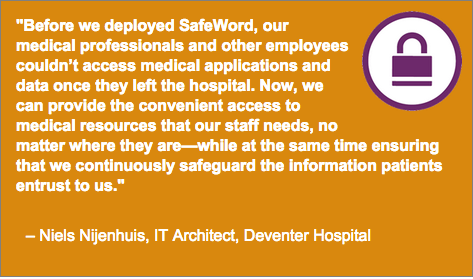 The more sensitive the data, the higher the priority on the robustness and security of the solution. -> Do I want to firmly protect data that sits on my users’ PCs and laptops? If so, consider token solutions that integrate with PC security products such as boot protection and disk encryption applications that require the use of a token to boot a computer or decrypt protected data. -> Have I or do I want to implement a secure physical access solution? If so, consider token solutions that enable integration with physical access systems. authentication life cycle across the enterprise and extend strong authentication to the cloud using a single, integrated system. SafeNet Authentication Manager’s context-based authentication capabilities allow organizations to achieve convenient, cost-effective secure remote access with unobtrusive strong authentication, while maintaining the flexibility and agility to add protection with stronger methods of security when required. With its “step-up” authentication capabilities, SafeNet Authentication Manager makes it easier for users by requiring an additional authentication factor only if they don’t meet pre-defined policy rules determined by IT administrators. ncreasingly, more corporate applications are migrating to cloud computing environments and using Software as a Service (SaaS) based applications, necessitating a flexible and extensible strong authentication solution ensuring that corporate data and applications remain secure while also enabling easy user access to these cloud-based services. 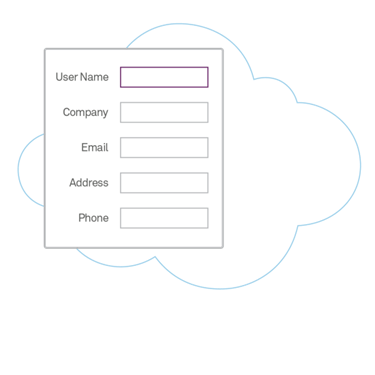 SafeNet Authentication Manager addresses this challenge by providing a seamless, consistent strong authentication and SSO experience for enterprise users who need to securely access Office 365 and SaaS applications, such as GoogleAppsandSalesForce.com (SFDC). Employees are increasingly using non-IT sanctioned consumer devices to gain access to sensitive corporate and customer data. IT departments are struggling to enforce security policies on these devices exposing businesses to serious security vulnerabilities in the form of data breaches and unauthorized access. SafeNet Authentication Manager addresses this challenge by offering credential life cycle management and over-the-air certificate provisioning for mobile devices, ensuring that only authenticated users with a trusted device can access corporate information and applications. 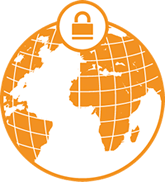 With SafeNet Authentication Manager, organizations have the tools to authenticate users via a private trusted certificate that is stored on the device, ensuring that employees can safely access corporate resources with either their personal device or those issued by the enterprise. -> SafeNet Authentication Manager leverages configurable policy rules to offer granular control over the level of authentication required each time a user logs on to an online resource. -> Extend secure access to cloud environments: Secure access, single-sign on, and automatic user provisioning for Office 365 and SaaS applications from a single authentication back-end. -> Extend secure access to mobile endpoints: Credential provisioning and authentication management for iOS devices ensures that only employees with trusted devices can access corporate resources. -> Address different risk levels: Complete support for OTP, certificate-based authentication, transaction signing, software, and out-of-band, as well as advanced security applications, in a single system allows organizations to address numerous risk profiles. -> Flexibility to grow: Evolve your authentication infrastructure to include OTP and CBA solutions, as well as advanced security applications Improve Productivity: Reduce the workload of IT staff with an integrated IT infrastructure, automated processes, and intuitive self-service tools. -> Reduce support costs: Automated processes, over-the air activation and installation for software tokens, and intuitive self-service tools ensure extensive support for end users and lower helpdesk costs. -> Maintain compliancy : Comprehensive auditing and reporting features enable compliance with privacy regulations. SafeNet Authentication Manager Express (formerly SafeWord 2008) is an out-of-the-box one-time password (OTP) two-factor authentication solution that enables secure remote access to your organization’s most sensitive and confidential resources. With the push of a button, SafeNet Authentication Manager Express authenticators generate a highly secure, one-time password that can never be re-used, hacked, or compromised. The password’s two-factor authentication mechanism ensures that only properly authenticated users can access critical applications and data whether they reside in your data center, the cloud or virtualized environments. SafeNet Authentication Manager Express offers both hardware and mobile authenticators, as well as management software and maintenance, in an all-in-one OTP authentication solution that is easy to install, use, and manage. SafeNet Authentication Manager Express allows you to seamlessly extend secure access to cloud-based Software as a Service (SaaS) applications such as GoogleApps and Salesforce.com using the same easy-to-install and maintain management software and authenticators that you use for secure VPN and Citrix access. SafeNet Authentication Manager Express provides seamless integration with Active Directory and enables organizations to leverage existing Windows environments to implement a simple and straightforward authentication solution including user self-help and enrollment capabilities, facilitating simplified deployment and maintenance. Additional management capabilities are available with the Enterprise Solution Pack (ESP) which lets you manage users outside of Microsoft Active Directory. -> Lifetime Replacement Policy: SafeNet Authentication Manager Express authenticators never expire and come with a lifetime token replacement policy. (Customers should have a current support contract for all users to be eligible). SafeNet MyID smart card/token management system is a Web-based authentication and digital credential management solution for enterprises that is used to issue, manage, and support SafeNet cryptographic smart cards and SafeNet iKey® USB devices for identity-based applications throughout the organization. SafeNet MyID gives enterprise customers a powerful, interoperable, and secure system that reduces the cost of deploying and supporting smart cards and iKeys. Through innovative, policy-based enrollment features, SafeNet MyID significantly reduces the time an enterprise spends issuing and managing smart cards/tokens for geographically distributed users. SafeNet MyID makes it easier to perform a wide range of critical digital management activities - everything from requesting or renewing a user's digital credentials to revoking or reissuing these credentials. -> Broad Credential Support: Includes support for digital certificates, keys, passwords, biometrics, etc.